size 2 for 1-2 yrs: Chest,23" ---- Waist,22"---- Shoulder to hem,34"
size 4 for 3-4 yrs: Chest,24"---- Waist,23"----- Shoulder to hem,37.5"
This dress is perfect for Flower Girl, Pageant, Communion Dress, Holiday Portraits, Wedding Flower Girl Dresses, Birthday Parties, Easter, Special Occasions or Everyday Dress Up. 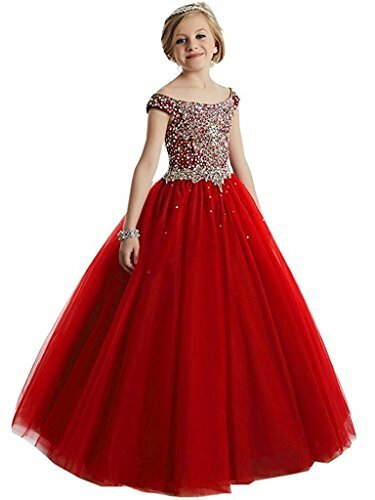 We provide fast shipping which you will get the dresses within 15 business days if you asked you need the dresses in a rush time. If you have any questions about this product by Yc, contact us by completing and submitting the form below. If you are looking for a specif part number, please include it with your message.